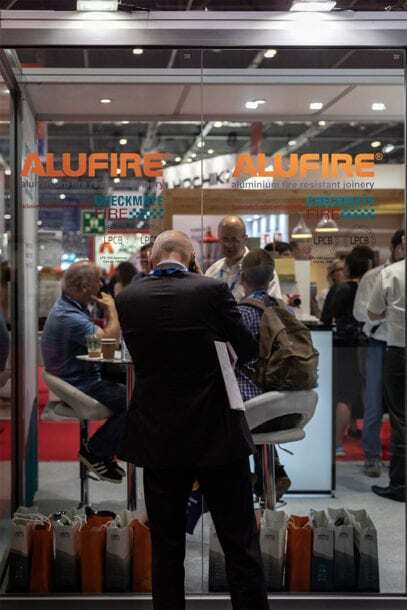 Alufire participated in Firex 2018 alongside their UK representatives Checkmate Fire. The Firex International trade show brings together worldwide expertise in fire safety in one place. Firex 2018 took place in ExCeL London in June 2018. Build Show 2018, took place at the NEC, in Birmingham. Build Show focuses on building professionals and companies engaged in construction. Even though the show does not focus on safety or fire-safety whatsoever, the interest in Alufire`s products was unprecedented. Specifically, project managers and construction professionals were fascinated by Alufire`s frameless systems. Following the June 2017 terrible fire on Grenfell Tower that caused 72 deaths, the UK construction industry has started taking fire-safety seriously. This shows on the increased popularity of Firex and the phenomenal interest on Alufire at the 2018 Build Show. Passive fire protection is essential in future, new, or renovation projects. Alufire`s products guarantee that fires will slow down, or even stop, giving people enough time to get to safety.